If you've been genotyped with 23andMe, you are able to share your reports with family members and friends - even if they are not already 23andMe users - via a sharing invitation in the Your Connections feature. If your family member or friend is not already a 23andMe user, your sharing invitation will prompt him or her to create a free account where he or she can view your reports. If your family member or friend has also been genotyped with 23andMe, you will also be able to compare yourself with them in the Your Connections feature. You will be asked to enter the email address of the person with whom you wish to share your reports. I don’t know the email address. If your account contains multiple profiles, you will also be asked to select which profile in your account you would like to share with this person. While you can share with other users at different levels, only compatible reports will be eligible for comparison. Important: If you are attempting to share with a genetic relative, you are able to do so from within the DNA Relatives feature without entering his or her email address. Just click on his or her name, and then the “Request to share” button. Click on the Your Connections feature. Click on the Invite button in the upper right corner of the page. Enter the email address(es) of your friends and family. Select the level with which you would like to share - Health + Ancestry or Ancestry. 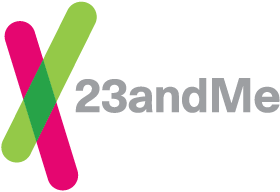 Important: If you have sent a sharing invitation to a 23andMe user, he or she will need to accept the invitation and have received data before you can compare. You are able to send a sharing invitation to your genetic relative matches from within the DNA Relatives feature. Just click on the name of a match with whom you would like to share ancestry reports, and then click the green “Request to share” button. Keep in mind that you may have to scroll down on the page to see this button. Open Sharing in the DNA Relatives feature makes select information - including your full profile name, overlapping DNA segments, and ancestry reports - available to your matches in DNA Relatives without an individual sharing request. If you are participating in Open Sharing, you will be able to easily compare ancestry information with other DNA Relatives matches who are also participating in Open Sharing. You can identify matches who are participating in Open Sharing by the purple dot in the Sharing column. When you share a profile with another account, any individual with access to that account will be able to review your shared information. For example, if you share with a friend, your friend's spouse may also have access to the account and would be able to see the shared information. 23andMe cannot verify that customer-chosen emails and names represent actual identities. Before sharing, you may want to independently verify that you are sharing with the person you intended, for example by calling them on the phone. Go to the Your Connections feature. Click on the gray gear icon located to the right of your connection’s name. Click the "Remove Connection" link. Click on the profile menu in the upper right and select Settings from the dropdown menu. On the Settings page, scroll to the Privacy/Sharing section. Click the “Block all invitations” button. Important: Blocking prevents all 23andMe customers from inviting you to share. If you have multiple profiles in your account, none of them will receive sharing invitations if you choose to block all invitations. Why can't I invite some users to share genomes from their profile? You are already sharing genomes with the profile or account. You have a pending sharing invitation sharing genomes to or from that profile. Why did my sharing connection disappear? Sharing can be discontinued in several ways. Either party can opt to discontinue the connection at any time without notice. Additionally, sharing connections are cancelled when a profile is transferred to a new account or when an account is closed.